This very well-presented four-bedroom bungalow is located in Baylough on the outskirts of Athlone town. The interior of the home offers four bedrooms, two reception rooms, two bathrooms, central heating, and attractive decor. The exterior enjoys a rear garden, a large detached garage, and ample room for private parking. The property is approximately 133 square metres with a BER D2 energy rating. The home is presented in ready to live in condition and must be viewed in order to be fully appreciated. 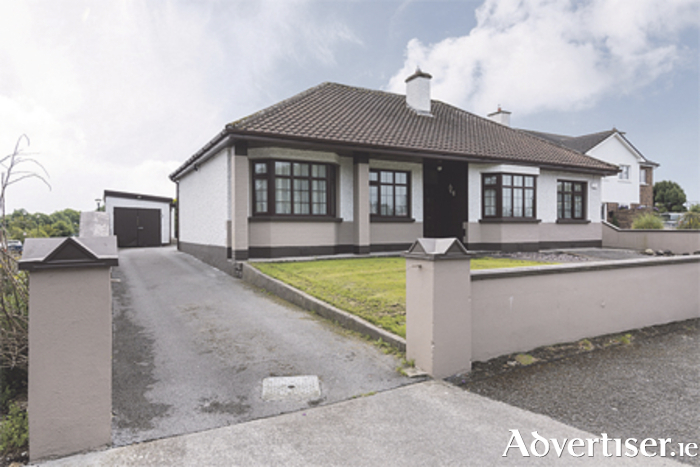 For more information or to arrange a viewing contact agent Helena Kenny of Sherry FitzGerald O’Meara on (086 ) 8119190.